Pregnant women are cute. I know because I used to think so when I come across adorable pregnant women with their beautiful belly bumps. There were even times when I secretly wished I was pregnant too, or when I regretted not enjoying my pregnancy more when I was pregnant with my two daughters. But when you’re actually pregnant, you feel anything but cute and you’re not loving your belly bump every day of the 10 months pregnancy. Today I’m 29 weeks pregnant. While I feel beautiful, maternal and blessed “most of the time” to be able to carry this new life inside my body, I also feel tired, trapped and not-very-beautiful especially when I wake up with a new breakout on my face or a new symptom in my body. Or when I’m always wearing black because it makes me most comfortable. Recently I’ve been living in my black, gray and white maxi dresses and knew I wanted to add something pretty, floral and feminine to my wardrobe. 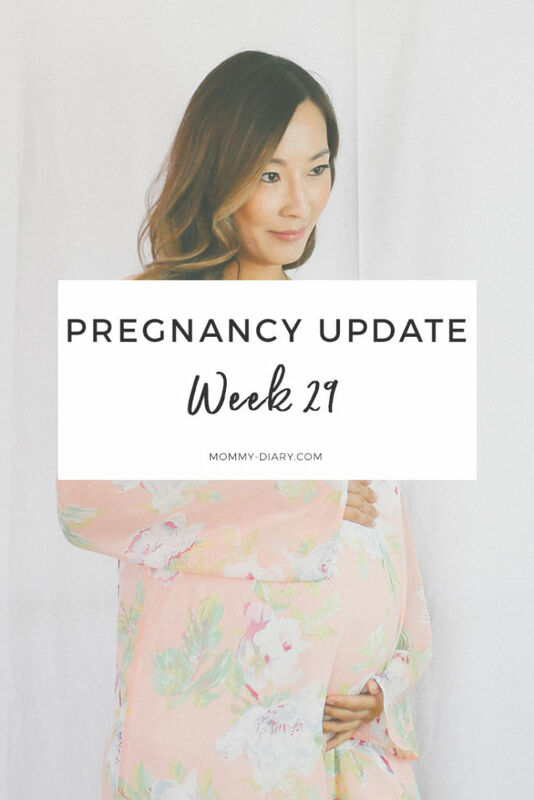 And Pink Blush Maternity came to the rescue! If you haven’t done so already, you should check out their collection. Their spring dresses are very pretty, soft and well-priced, which is an important factor when shopping during pregnancy because let’s face it—how many of us want to spend hundreds of dollars on a dress that we will only wear for about a year? The best part is that I can wear this dress after the pregnancy. It’s soft, flowy and very comfortable. I wish I can feel this pretty and feminine everyday! Thank you Pink Blush Maternity for this beautiful maternity dress! What do you think? It’s soft, feminine and a much-needed change from all the dark neutral colors I’ve been wearing since last November. I’m officially in my third trimester now! I’m now in my third trimester and can’t believe how far I’ve come in my pregnancy. My belly bump is growing by the day and I’m really starting to feel heavy. I wake up many times a night to use the restroom and developed a new symptom which the doctor diagnosed as round ligament pain. As the uterus grows during pregnancy, my ligaments are stretching and thickening to accommodate it, which causes pain on my left side of the abdomen and pelvic bone area. It hurts to walk and once I’m sitting, it’s difficult to sit up. And my back hurts, all the time. I’m sure those of you who have been pregnant before can relate to this feeling. It’s no fun but yes- I’m trying my best to enjoy my last pregnancy to the fullest. Here are my week 29 notes. I gained 40 pounds with my first two pregnancies so this time I am definitely snacking less. I’m still eating whatever I want, whenever I want, just not eating as much chips, candy, ice cream and other junk food. In my last trimester while pregnant with my first daughter, I ate a pint of Haagen daz coffee ice cream every single day, which probably wasn’t a good idea. I’m definitely not craving as much sweets as I did when I was pregnant with my daughters. Girl cravings= sweet and boy cravings= spicy and salty? The old wive’s tale has been true for me in many ways. At my last appointment the doctor said the baby is growing fine and size is good, but that I can gain some more weight. I guess that means I’m pigging out this weekend! 3. Symptoms: Fatigue, lower backache, shortness of breath, occasional leg cramps (ughhh charley horse is sooo painful! ), difficulty getting up and back down, round ligament pain. Baby is moving around a lot now, he sometimes startles me! 4. Food Cravings: Nothing in particular. I’m eating a lot of Korean food, meats and vegetables. 6. Body changes + Physical activity: Breakouts (I’ve had the biggest zit on my eyebrow for over a week now), darker pigmentation and linea negra. Losing tone all over the body from not going to the gym more regularly. Lower body exercise is difficult because of pelvic discomfort. I don’t know how some women manage to go to the gym regularly and stay fit during pregnancy. Going to the gym with my heavy body stresses me out- so I’m just going to take it easy and hit the gym when I’m back in my normal body. I’m still doing light yoga, stretching and weights at home. 7. Belly shape: My stomach is rounding out. I’m carrying much lower this time. 8. Emotions: Excitement about having a new baby boy, a little anxious about the change it will bring to our family of four. I purchased the Jenny Lind crib and found an awesome gray changing table/dresser from Million Dollar Baby. I still have to pick out a paint color and start decorating the nursery. Before all that, I have to first clean out my daughter’s current play/study room. For all you mamas out there expecting your first child, enjoy this while it lasts! It’s definitely much more fun to decorate a nursery in an empty room rather than cleaning out an existing room and replacing it with baby things. I’ve been procrastinating because it’s so much work. Hopefully I can get to it this weekend…..? What are your plans this weekend? Wherever you find yourself, I hope it’s filled with tons of laughter and fun! The weather is warming up here in So Cal, it’s going to be another beautiful, sun-kissed weekend. I have another giveaway planned for next week. Please check back and follow me on Instagram to stay in touch! You’re glowing and pregnancy looks great on you! Love the dress too. I don’t miss those symptoms but I’m proud of you for keeping/eating healthy and trying to appreciate each moment. After all, this MIGHT just be your last baby, right? lol. Hang in there mama. Praying for ya. Not “might”- this “will” be my last pregnancy. lol. It’s funny because I know I’ll sometimes miss being pregnant, and I know how blessed I am, but it’s also so difficult sometimes. Thank you for the prayers Anita. Can’t wait to see you soon.